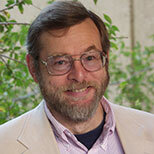 Braden R. Allenby is Lincoln professor of Engineering and Ethics; President’s professor of Civil, Environmental, and Sustainable Engineering, and of Law; founding chair of the Consortium for Emerging Technologies, Military Operations, and National Security; and founding director of the Center for Earth Systems Engineering and Management, at Arizona State University. He is an AAAS fellow, a fellow of the Royal Society for the Arts, Manufactures & Commerce, and a Batten fellow in Residence at the University of Virginia's Darden Graduate School of Business Administration. From 1995 to 1997, he was director for Energy and Environmental Systems at Lawrence Livermore National Laboratory, and from 1991 to 1992 he was the J. Herbert Holloman fellow at the National Academy of Engineering in Washington, DC. His areas of expertise include emerging technologies, especially in the military and security domains; Design for Environment; industrial ecology; sustainable engineering; transhumanism; and earth systems engineering and management.